Mornings for me are a sacred time. I love to wake up with the sun, before there is much movement in our apartment and in our town. Taking advantage of the idea that everything I need lies within. Thus, I begin my day with myself. Sometimes that means silence, meditation and deep breathing, other times it means movement and music. The only important thing to remember is to listen. Listen today, without any reference to past mornings, to what your body, mind and spirit needs to set you up for a day that will bear the signature of your soul. I wanted to share with you what my morning looked liked. Not in an attempt to make my morning ritual your morning ritual but to remind you that nothing, absolutely nothing, is more glorious than you being yourself. If you spend your morning listening for your truth, you will carry it with you all day. And you know whats really cool? It will unconsciously allow others to live in their truth. Besides the multiple health benefits to starting your day with a nice big cup of warm lemon water, I drink it because its warms my body from the inside out. The first sip I take I can feel the warmth slowly starting to wake up my body, warming my muscles for movement (asana) and kick-starting digestion. Side note: after squeezing the lemons in my cup I quickly swipe the juice from my fingers to my nose/cheeks. 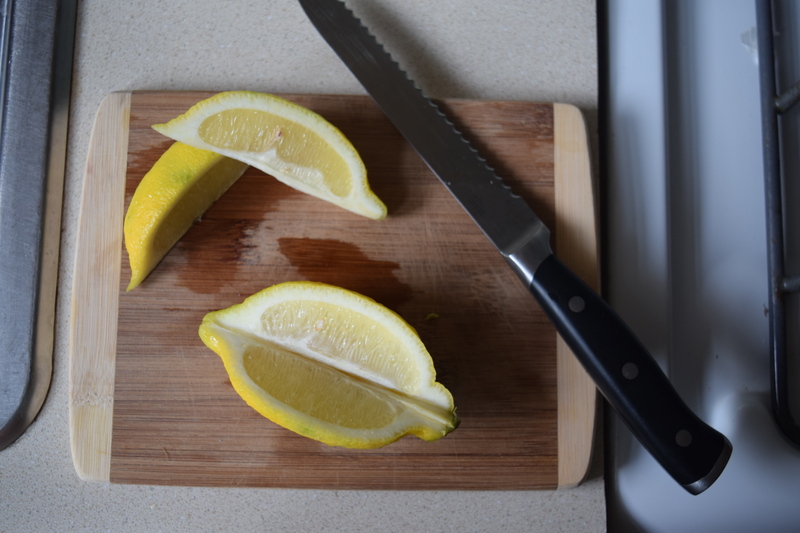 Lemon juice is great for evening skin tone or clearing sun spots. When I come to my mat in the morning I burn Palo Santo which translated means “holy wood”. It has sweet notes of pine, mint and lemon. Its energy cleansing, and has a very uplifting, vibration raising scent. I love the scent and by now, it sends an immediate signal to my brain and body to relax and go inward. I always have my journal nearby because that little voice of wisdom is always saying hello. 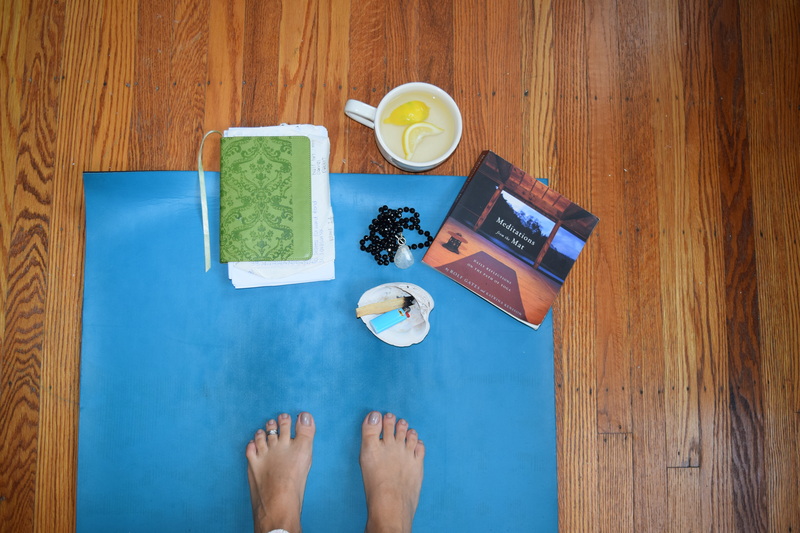 I am currently reading “Meditations from the Mat” which is meant to be read in small doses for 365 days, perfect for mornings. I usually bring my mala beads and set it on the top of my mat during my asana practice and then put it on during meditation. I don’t use them in the traditional sense but instead infuse it with the peace I feel after my morning sadhana is over. I then can wear that around my neck all day and share it with others or with myself, if needed. This is my favorite way to end my morning time on my mat. It feels super yummy on the lower back and opens the hamstrings. I usually lay with my arms out wide or overhead with a focus on opening my chest and heart towards the sky which begins my journey of opening up to the world to start my day. By this time my boyfriend is awake and usually joins me for legs up the wall and if I’m lucky, a few kisses.